Over the years we have had the opportunity to use and replace thousands of air filters by many various manufacturers. These manufacturers all have their "low end filters" and their "top-of-the-line filters". So, to navigate through them with ease we have separated the filters into several different categories. Please note: This is not a complete list of all the different types of filters available on the market, but this will cover most of the customers we service. Filters are rated by their performance and their price. As with anything else, the more performance a filter delivers - the higher the cost. Standard Capacity Pleated Filters: These filters offer better filtration than the low end fiberglass filters but they also offer more resistance and will get dirty faster but they are still a good choice for most applications. These are the filters most contractors choose to use. Ring Panels: Most ring panel filters use a metal wire frame inside and polyester material over the frame. These filters often have a tackifier and sometimes use a microbial tackifier. 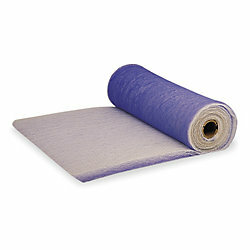 These filters offer good filtration and a self-sealing surface to prevent leakage around the filter. These filters will get dirty quickly but that is why we use filters - to catch the dirt and dust. Framed Filters with Media: Framed filters have a metal or plastic frame holding the media in-between screens. These filters are comparable to the ring panels when polyester media is used with the exception of the metal racks. In most cases they do not seal as well to prevent filter bypass. Some companies use foam, hog hair, or fiberglass media lowering filtering ability. The Fiberglass Media is constructed of a multitude of fiberglass strands that form a graduated density for maximum dirt arrestance throughout the media. Throwaway – disposable synthetic panel filter. Please feel free to call us with questions about the right filter for your needs, or if you need hepa filters, deep pleated filters or special filters. Over the years we have had the opportunity to use and replace thousands of air filters by many various manufacturers. These manufacturers all have their “low end filters” and their “top-of-the-line filters”. So, to navigate through them with ease we have separated the filters into several different categories. Please note: This is not a complete list of all the different types of filters available on the market, but this will cover most of the customers we service. Filters are rated by their performance and their price. As with anything else, the more performance a filter delivers – the higher the cost. These filters are similar to the standard pleated filters except they have more pleats, more surface area and more capacity. These filters work well and are well suited for dusty environments or bi-annual filter changes in normal environments. We choose to use these filters on our accounts with special needs; such as….. These filters offer better filtration than the low end fiberglass filters but they also offer more resistance and will get dirty faster but they are still a good choice for most applications. These are the filters most contractors choose to use. Most ring panel filters use a metal wire frame inside and polyester material over the frame. These filters often have a tackifier and sometimes use a microbial tackifier. These filters offer good filtration and a self-sealing surface to prevent leakage around the filter. These filters will get dirty quickly but that is why we use filters – to catch the dirt and dust. Framed filters have a metal or plastic frame holding the media in-between screens. These filters are comparable to the ring panels when polyester media is used with the exception of the metal racks. In most cases they do not seal as well to prevent filter bypass. Some companies use foam, hog hair, or fiberglass media lowering filtering ability. As far as performance, the resistance is very low but their ability to clean the air is not impressive. Our professional opinion is if you can drop a handful of sand on the top of the filter and most of the sand comes out the bottom of the filter – it’s not a good, quality filter. If air quality is a concern, these filters are not recommended. Beware of contractors that do.